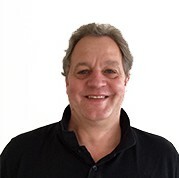 Johnny Hojmark-Andersen has recently been appointed as the Australian Country Manager in Tradecorp. Johnny is a graduate of University of Queensland, Gatton, and brings 25 years of experience in the Australian agricultural industry including roles in BASF, John Deere Water, QDPI as well as managing farms in North Queensland. He will continue the development and expansion of Tradecorp’s presence in Australia building on their global experience in horticultural crops.